Our Healthy Granola Bar Recipe with dried blueberries and toasted coconut is perfect for on-the-go snacking! 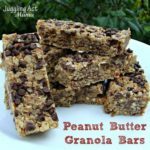 I love making granola bars and wanted to branch out with some other ingredients. 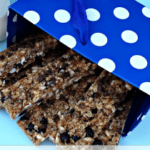 Since this is blueberry season here in New England, I’m sharing with you a healthy granola bar recipe with almonds, dried blueberries and coconut. My family loves to help make and eat granola bars, especially my youngest. With back to school sneaking up on us, I’m ready to make another batch of these soon. 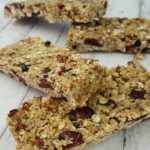 Our healthy granola bar recipe is a great way to get kids in the kitchen. It is also a good way to help them learn about measurements (cooking with kids is a sneaky way to teach them math skills!) Of course, kids should always be supervised in the kitchen for their safety. I added slivered almonds for the added protein and crunch, and some puffed rice to add another texture. I think it pairs so well with the dried blueberries. Be sure that the brand you buy has no added sugar, or adjust the amount of brown sugar to taste. 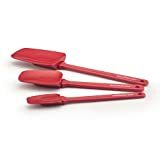 What can be used as a substitute for brown sugar? If you would prefer not to use brown sugar in this recipe, you can instead use an equal amount of of maple syrup, honey, or agave nectar. 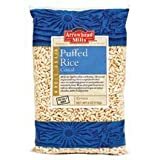 However, because there will be more liquid, you will need to also add 1/3 cup more of the old-fashioned oats or puffed rice cereal. To boost the health factor, you could also use 1/3 cup of or . The sweetness from the chocolate, the pop of blueberry flavor, the toasted coconut and the crunchy almonds all make these so, so good! You might want to double the batch – after all, these will last about 2 weeks when wrapped tightly. This healthy granola bar recipe will yield about 18 bars. These Blueberry Coconut Granola Bars are easy and delicious - it's a win-win! Preheat the oven to 325-degrees. Spray a 9x12 pan with coconut oil cooking spray (I get mine at Trader Joes). Line the pan with parchment paper so that it hangs off the two ends. In a second bowl, combine the wet ingredients and whisk. Pour the wet ingredients over the dry and stir to combine (I find a wooden spoon works well). Pour the mixture into the prepared pan. Use a piece of parchment paper to press it evenly into the pan without having it stick to your fingers. Bake for 40 minutes until the bars are golden brown. Remove from the oven and set on a wire rack to cool. Cut into bars once completely cool, and individually wrap. 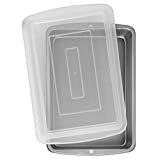 PRO TIP: After the bars are completely cooled, remove them using the parchment paper and put them onto a cutting board. 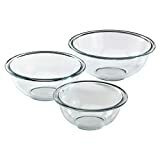 The parchment paper will collect any crumbs, which are perfect for topping ice cream! Instead of almonds, use chopped pecans or walnuts. Reduce the puffed rice cereal by 1/4 cup and add the same amount of sunflower or chia seeds. Swap out the dried blueberries for other dried fruit like cranberries, raisins, or chopped apricot pieces. 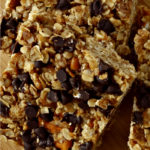 Want more healthy granola bar recipes? 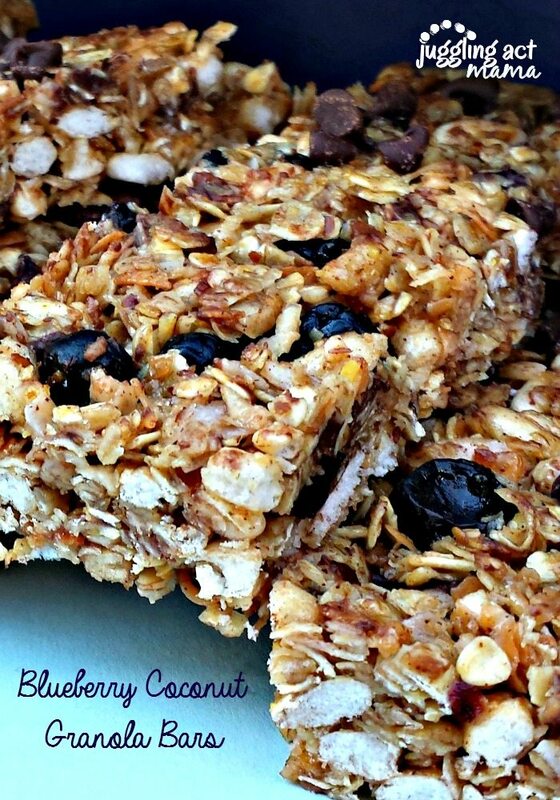 My friend Kristen from A Mindful Mom has a great recipe for Gluten Free No Bake Granola Bars. If you’re vegan, you may like these Quinoa Granola Bars from Wendy Polisi as well. i love healthy snack options like this! This looks and sounds amazing! I love all these flavor combinations and blueberries are my favorite fruit! Thank you for sharing the recipe! I love home made granola! Thank you for creating these granola recipes! These would make a great morning snack at work. 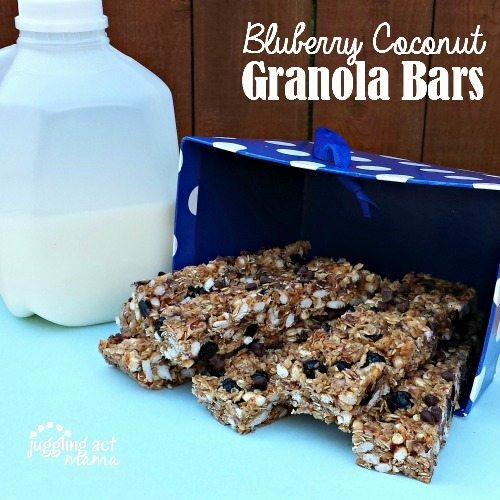 What a good idea to use dried blueberries and coconut! Pinning this for later! Thanks Denise! They’re super tasty!